After a quiet start to my trip it was great to arrive in Arhus this morning and see so much activity. Indeed, there was a bit of a buzz about the place with Queen Margrethe II in town to celebrate the 150th anniversary of Aarhus Art Museum (ARoS). The incredibly helpful tourist office at Arhus seemed keen to send me off in that direction, but instead I trod the even more well worn tourist path to Den Gamle By with its wonderful open-air museum of historical buildings. I had great fun wandering around the old buildings, popping into the historic shops and sampling some delicious cakes in the bakery (I didn’t need much tempting!). I loved the waterfront section and the welled smack that was sitting on the riverside as if waiting to be launched for a day’s work transporting fish. Afterwards, I headed out by bus to the Moesgård Museum south of Arhus with its fascvinating collection of archaeological finds and historic buildings. The museum includes the preserved remains of the Grauballe Man who was found in a peat bog in the 1950s which was a fascinating if odd sight, much more interesting than I might have expected from the deathly dull history lesson where I first learnt about the find many years ago. More fascinating still were the selection of sacrificial finds from a battle at Illerup Ådal which looked stunning in their own right but were all the more amazing when put into the context of the sheer scale of the finds. I intended to follow up my visit to the museum with a walk along the four-kilometre path which leading from the manor house to the beach of Moesgård Strand (and then back again). However, I didn’t get to walk very far before the heavens opened and I quickly abandoned the walk in favour of shelter. 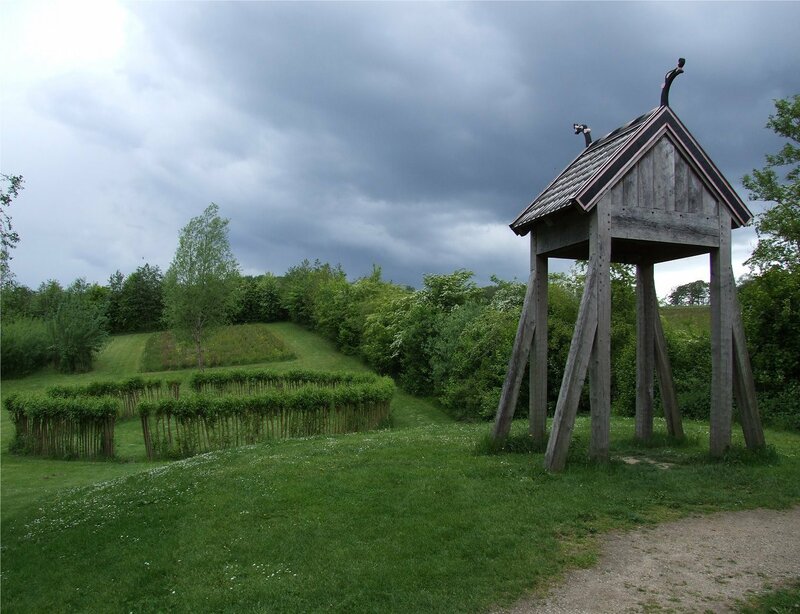 Nevertheless, I still got to see some of the outdoor sights such as the Viking stave church – which perhaps looked even more stunning against a darkening sky. After the rains eased I made a dash for the bus and headed back to the station. Naturally, I did keep an eye out for some of the older diesels and multiple units. 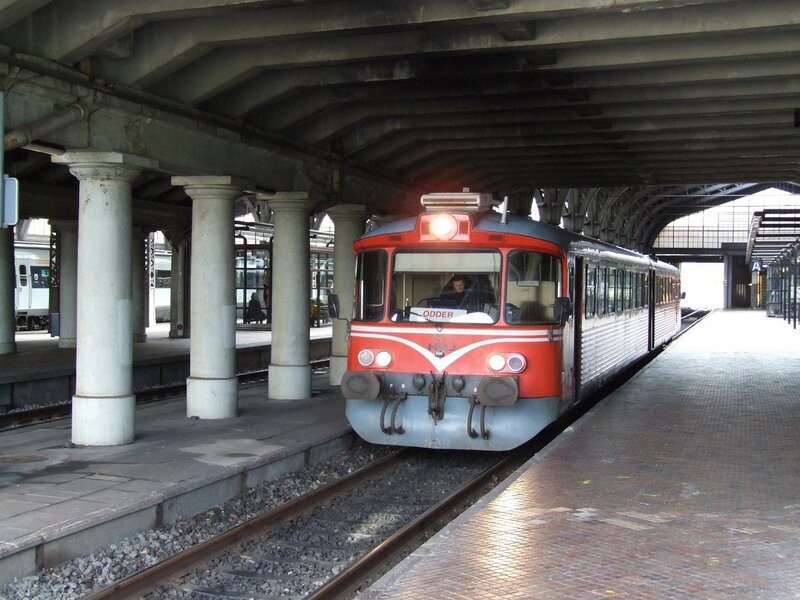 I was therefore quite pleased to see one of the more historic lynette units in use on the Odderbanen between Arhus and Odder which had quite a bit of character in contrast to the relatively bland modern DSB IC3 units that I had used to travel to and from Randers. All in all, a good day out with more than enough to see. 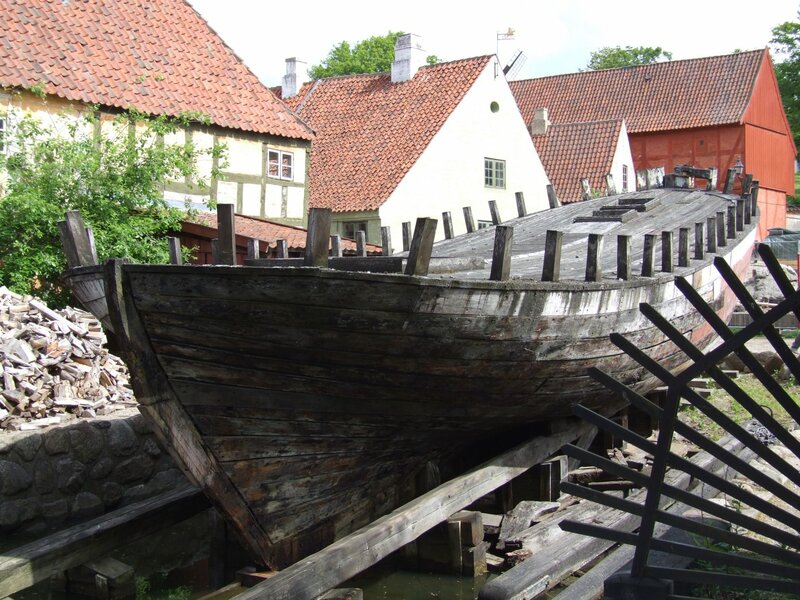 The Arhus card was a great help in that respect covering bus transport, admission to the Moesgard Museum and discounted admission to Den Gamle By. I thought it was well worth the 119 DKK I paid.